If you are looking for qualified optometrists in the Topsfield, MA area, the eye doctors associated with Parrelli Optical can meet all of your needs. Parrelli has offices in Beverly, Cambridge, Danvers and North Andover, and each location employs state-licensed opticians who are fully certified by the American Board of Opticianry. You can visit any of the four Parrelli Optical locations to undergo an eye exam performed by an independent Doctor of Optometry. 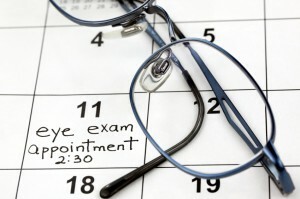 Eye exams are a crucial part of maintaining healthy eyes and preventing eye disease. Parrelli ensures that these important tests are carried out properly by providing skilled and experienced optometrists to our patients. The eye doctors at each Parrelli location use the latest techniques and equipment to thoroughly evaluate the state of patients’ eyes. They then discuss any issues with the patient and develop a plan to address them. Once these tests are complete, your eye doctor will have a clear understanding of your eyes and vision. Any diseases or other issues that you have can then be corrected before they cause permanent damage. In addition to examinations, Parrelli’s offers LASIK consultations, reshaping of the cornea, ocular allergy treatments and dry eye therapy. Parrelli Optical offers a variety of contact lenses and eyewear. Numerous fashionable frames are available from brands such as Vincent Kaes, Volte Face and Oakley. Parrelli also provides protective sports glasses as well as both prescription and non-prescription sunglasses. If you’re looking for optometrists in the Topsfield area, contact Parrelli to schedule an appointment or receive additional information.